This is an all-around good idea for the garden. Milkweed is the sole host for monarch larvae to feed on. Their milkweed diet also makes them toxic to predators, which they show off in brilliant, orange-and-black wings we love to spot in the garden. These three free-flowering varieties are useful in landscaping, too. The two tuberosas have no problem with extremely dry soil. 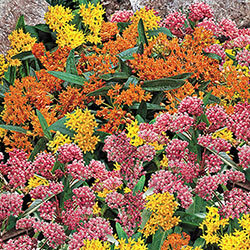 Patches of Asclepias tuberosa have been seen growing out of otherwise barren, rocky soil on the side of highways. 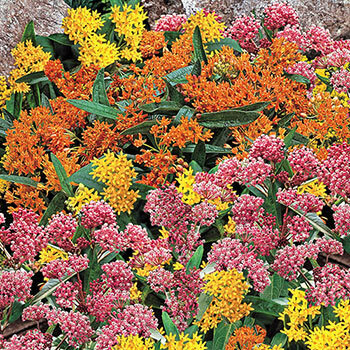 The incarnata variety, or Swamp Milkweed, tolerates wet soils, hence its name. 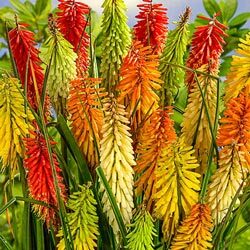 And as all three are native cultivars, they are easy to grow and drought tolerant. They're ideal to grow alongside perennial grasses, because they will not be overwhelmed by the grass. If you want to show off your gardening skills around the house, the flowers and the seed pods are long-lasting in fresh and dried arrangements. Germination Avoid windy areas and wet winter conditions that may cause the rhizomatous roots to rot. Do not plant crown of plants deeper than 3'' deep. 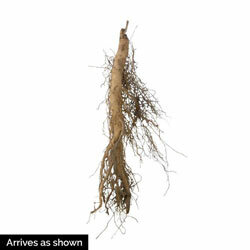 Foliage Type: Alternate, lanceolate or oblong, 2-6" long and 1/4 to 1" wide. Flower Form: Milkweed-like blossoms. Flowers about 1/4" across in short umbel-like cymes or clusters. Soil Requirements: Well drained, dry , infertile sandy soils. Doesn't like wet soils. Cannot compete with surface rooted trees. Incarnata can tolerate moist soil types. Pruning: Deadheading can prolong blooming time. Additional Information: Medicinal properties to roots. Leaves and stems are supposed to be poisonous to animals. Slow to emerge in the spring so be careful not to disturb it during early spring clean-up. It will compete successfully with the grasses.